While one team attacks the large goal, the opposition attacks either of the two smaller goals. turn at attacking the larger goal. • Passing, shooting and dribbling skills required in the other 4 v 4 games. 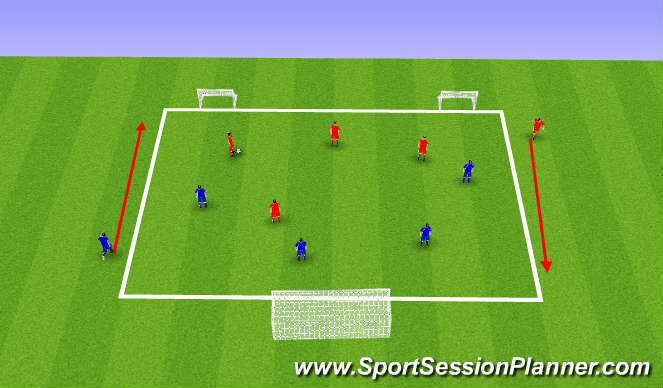 • Transition awareness since the team can attack quickly in the other direction.